Millennials and the subsequent Generation Z (Gen Z) are a cause of big marketing changes in the convenience store space today. "Millennials are the largest demographic visiting convenience stores today and they are an important target audience for retailers," CSNews Editorial Director Don Longo said. "From reshaping the definition of snacking to redefining the role of technology in the shopping experience, they are driving change in the c-store channel, as well as opening up new opportunities" (Convenience Store News). Want to appeal to this large audience base but aren't quite sure where to start? Step one: learn more about how your company can use mobile technology to drive these customers into your convenience store and therefore create loyal repeat customers. These particular consumers are connected via their mobile device to a network of online resources and platforms. "Not only are millennials tech savvy, but technology touches nearly every aspect of their lives" (Convenience Store News). Incorporating an omni channel digital experience will allow you to have the power to drive these consumers from the pump into your stores, thus increasing basket size and overall spend. Simply put, millennials want a seamless digital experience: a Tecmark All Digital Loyalty Program gives them that experience and an ease of use that they expect. 1. They like to see promotions and special offers on social media pages. 2. They respond well to humourous, light-hearted content; it helps build connections with them. 3. They like to receive in-app promotions, such as BOGO offers or a free item with purchase. 4. More than 50 percent of them are willing to use their mobile devices while shopping in the stores (Convenience Store News). Use this willingness to get them to connect to your company and add items to their purchase. 5. They read texts within minutes, making a great opportunity to spark an immediate interest in sales and same-day promotions. Tecmark's rewards program mobile app solution for c-stores allows users to register and log in with Facebook, Google+, or email. The app tracks points as well and allows the member to view offers and rewards, allowing users to initiate interest in your offers on their own! Tecmark also features Text to Enroll, which gets rid of paper forms and allows customers to sign up for your loyalty program instantly! All they need is their mobile number; no cards, no ID numbers, just the device they have already in their hands. Just one simple text enables their participation in your loyalty program. With their cell phone number serving as their loyalty identification, you can send out targeted promotions to them. So, not only does Text to Enroll serve as an enrollment method for your customers - it also serves as a marketing tool for you, allowing you to get the most out of your marketing budget. And, with our new mobile app launching soon, members will have another channel they can use to engage with your rewards program. 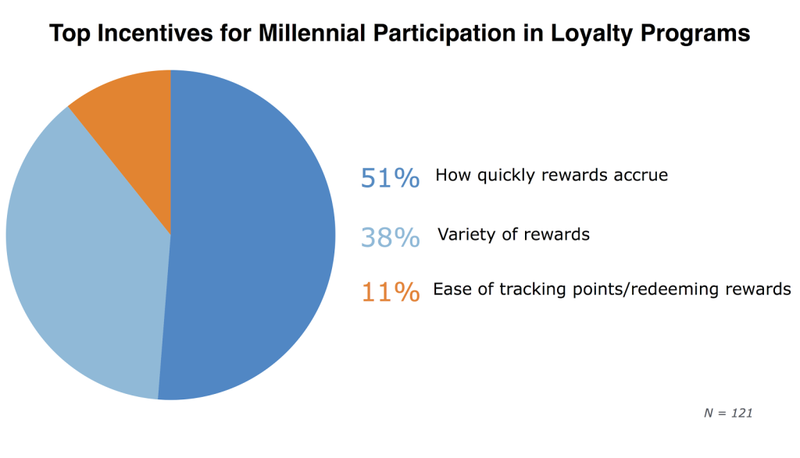 A well-planned and executed digital rewards program will not only create appeal to millenials and Gen Z, but it will also increase spend and grow revenue for your business. At Tecmark, the power is in the data. A Tecmark loyalty program is customizable using reporting and analytics to fit your needs, allowing you to focus your marketing dollars on what is important to you. You have a dedicated Loyalty Account Manager who works with you to go through the reporting and analytics to develop promotions based on customer trends.